Police are appealing for witnesses to a collision in Great Yarmouth on Saturday (2 February) evening. Officers were called just after 11.15pm on Saturday to reports a black Vauxhall Astra was in collision with a parked vehicle and a lamp post on Lawn Avenue, causing significant damage. Officers are keen to trace the driver of the vehicle, who left the scene before they arrived. 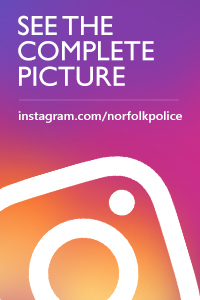 Anyone who may have witnessed the collision or have information regarding the identity of the driver is asked to contact PC Steven Lee at Acle Roads Policing on 101 or email lees1@norfolk.pnn.police.uk. Alternatively, they can call Crimestoppers anonymously on 0800 555111.